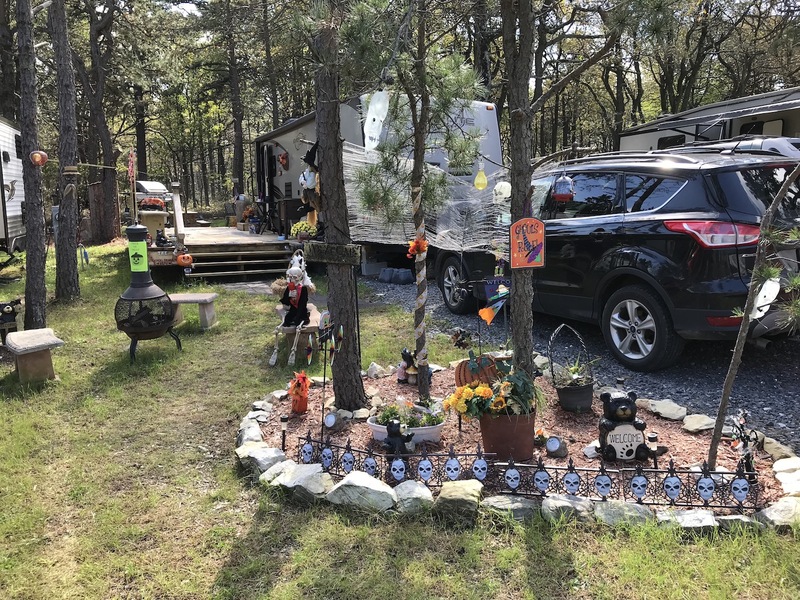 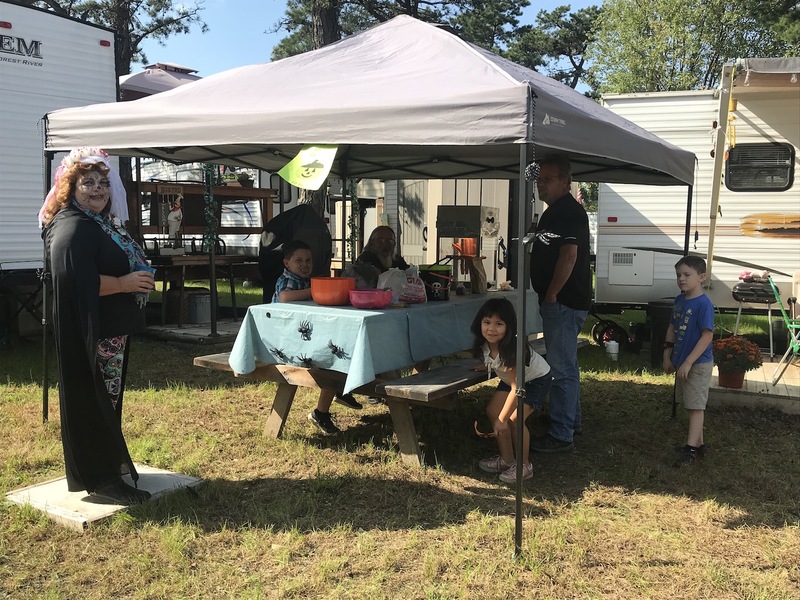 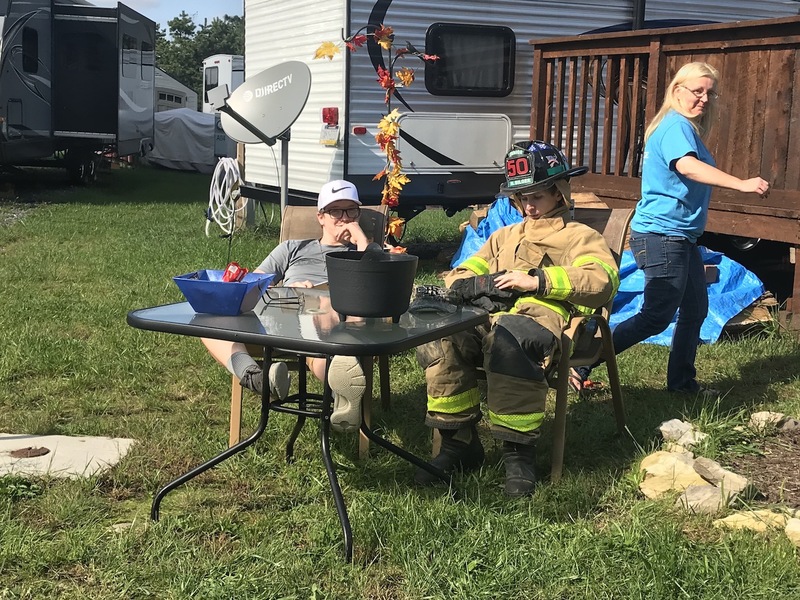 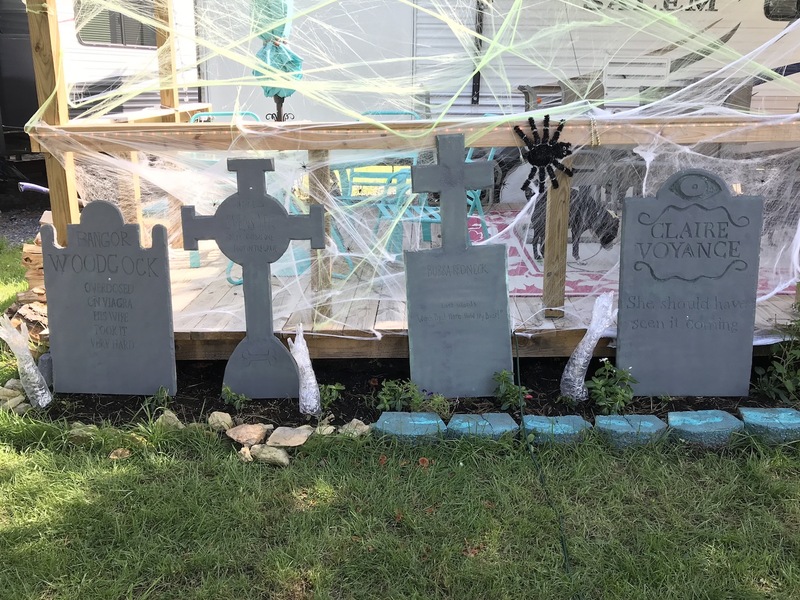 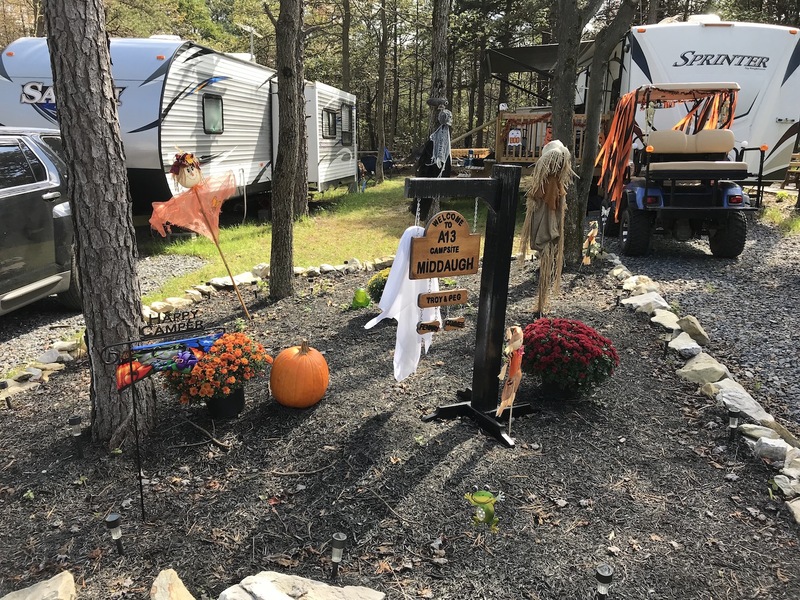 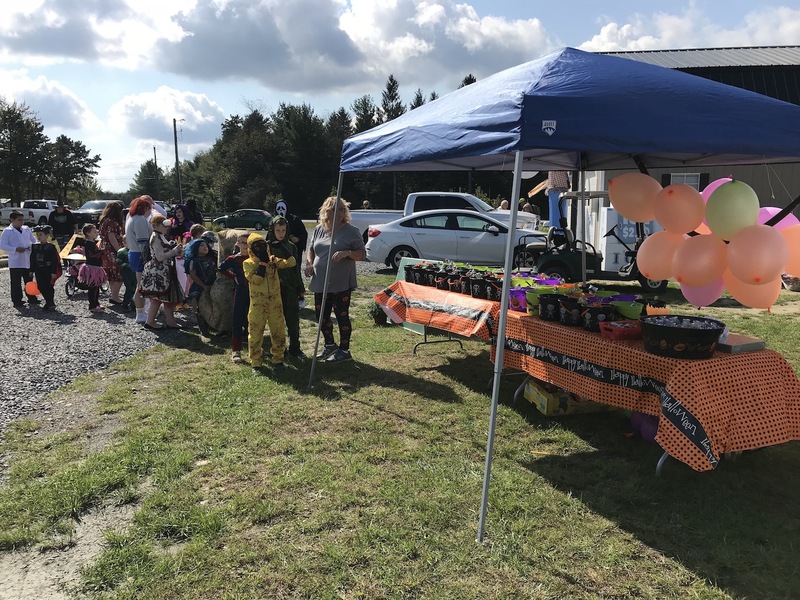 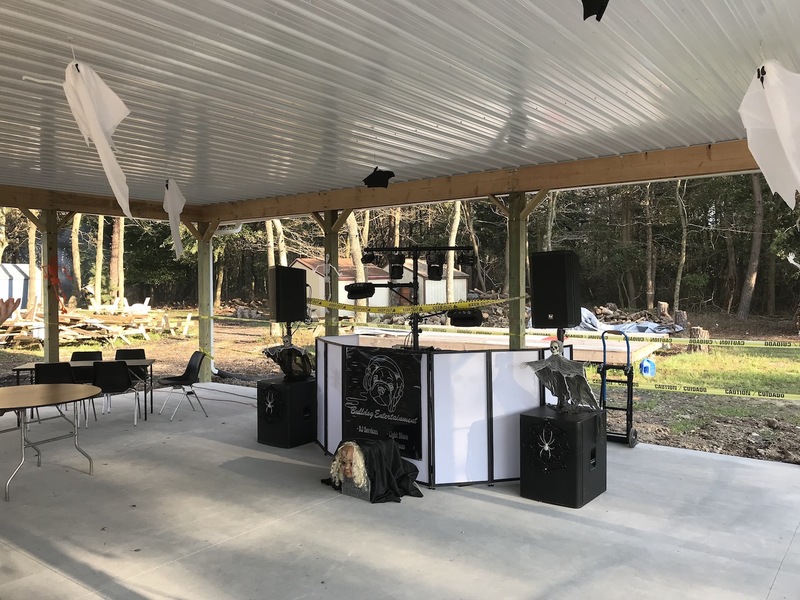 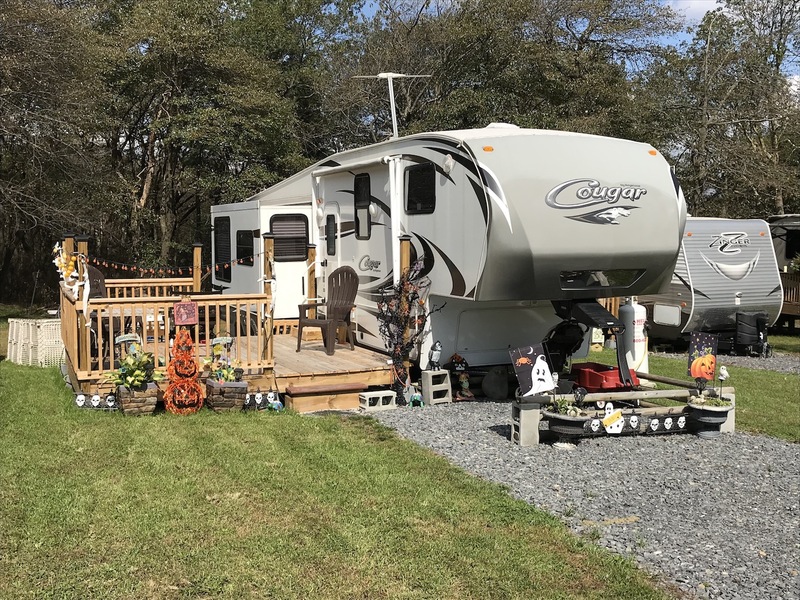 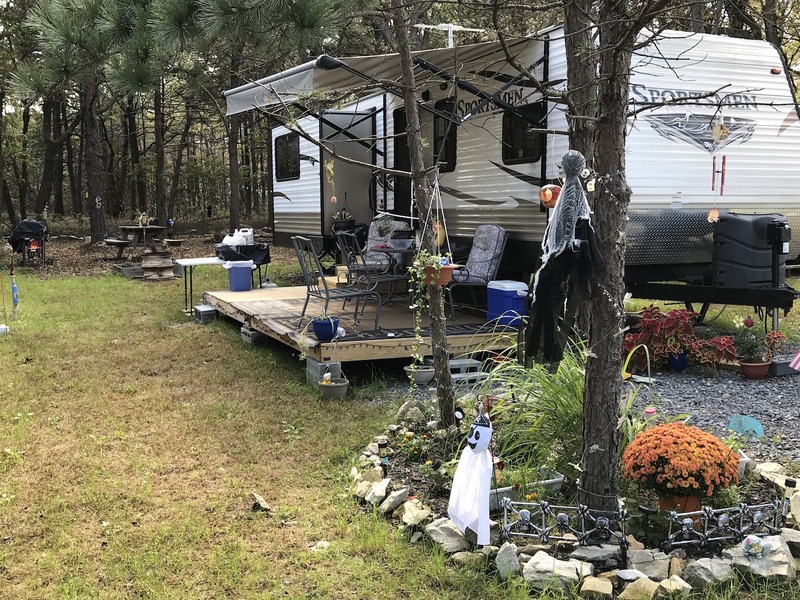 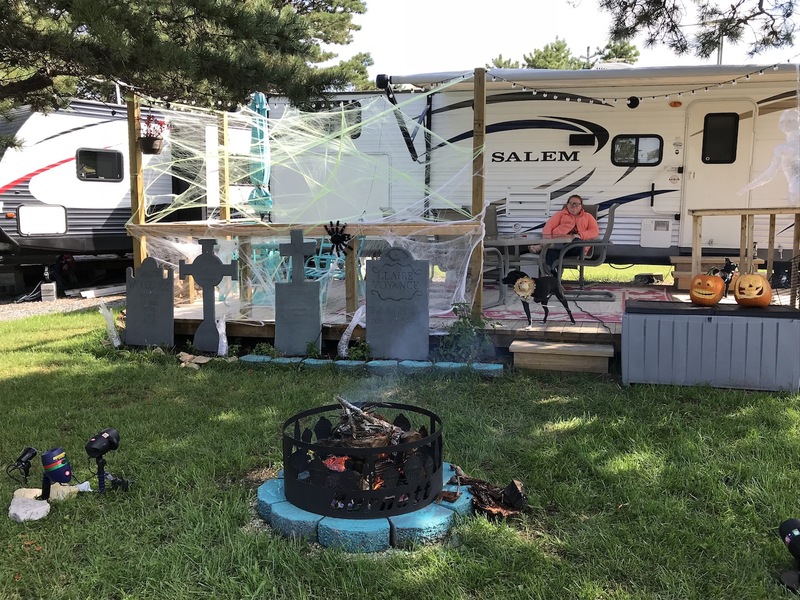 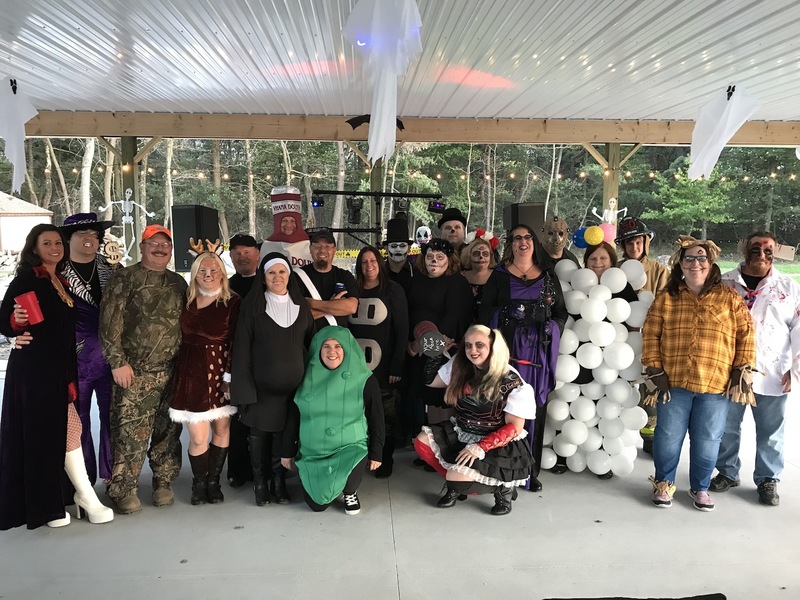 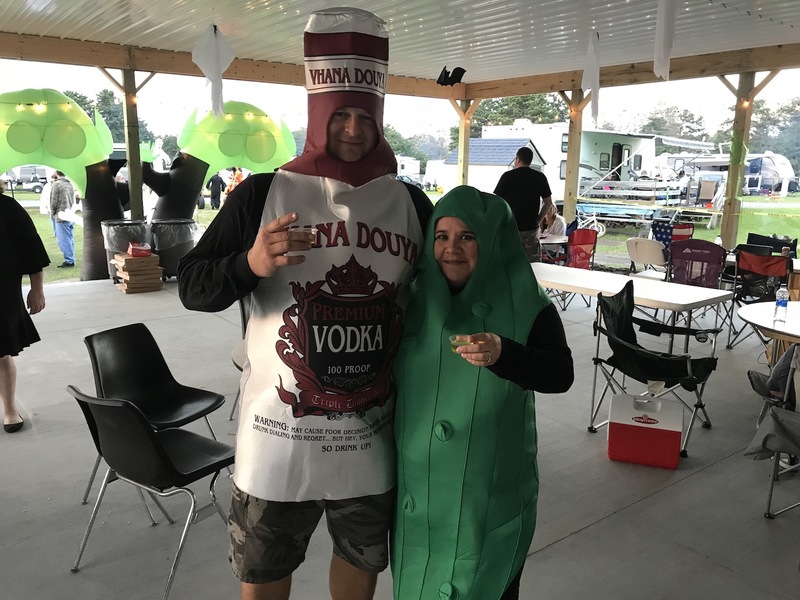 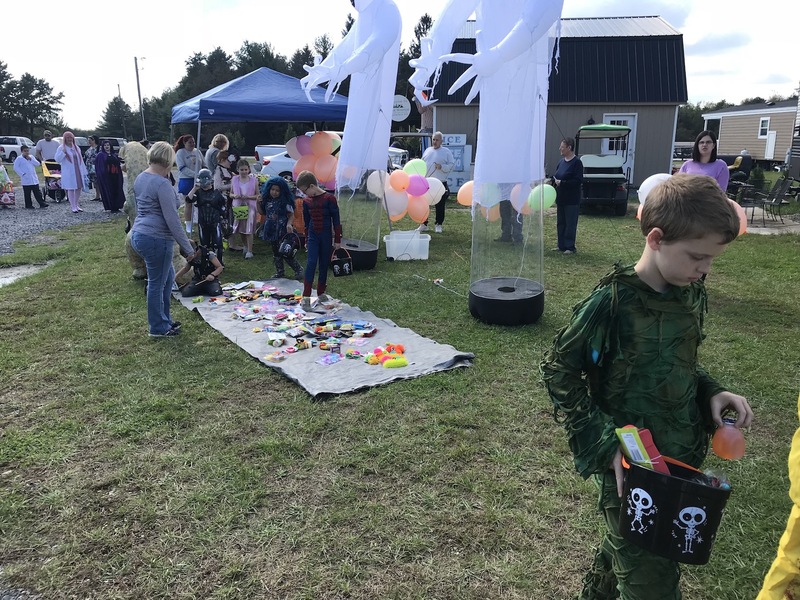 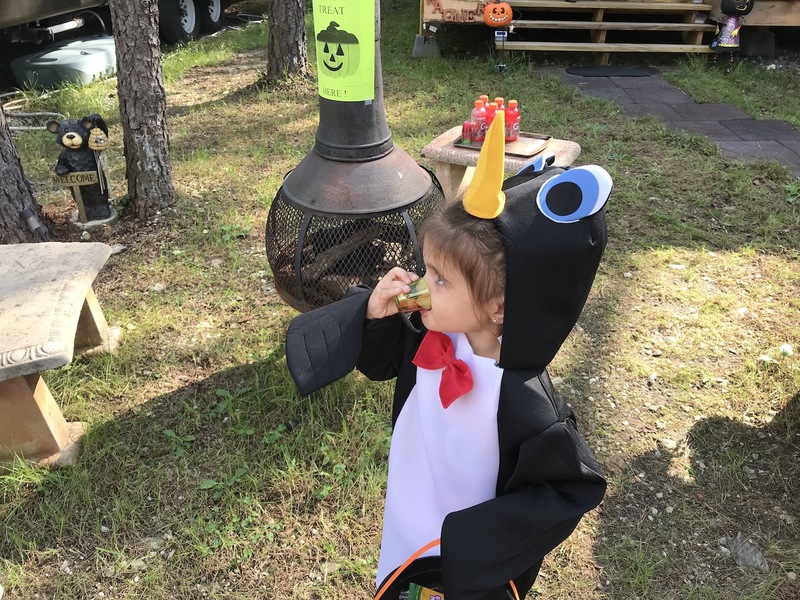 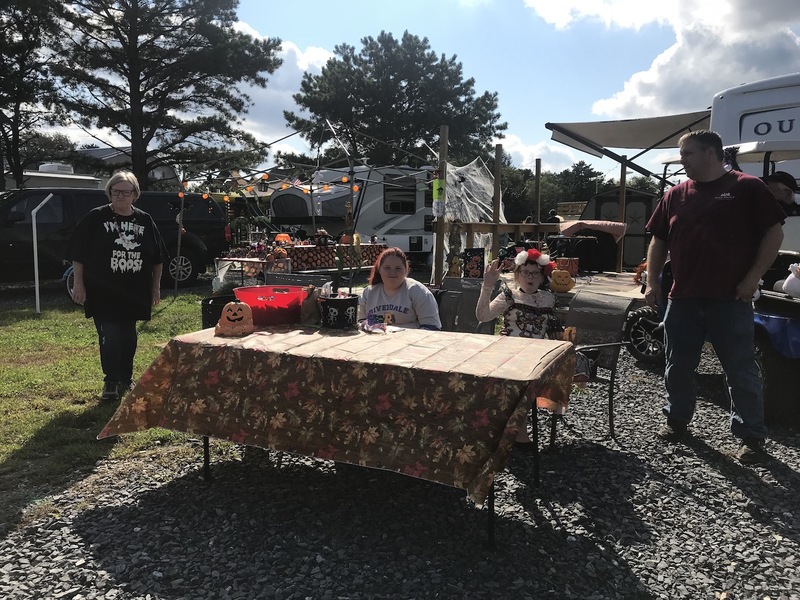 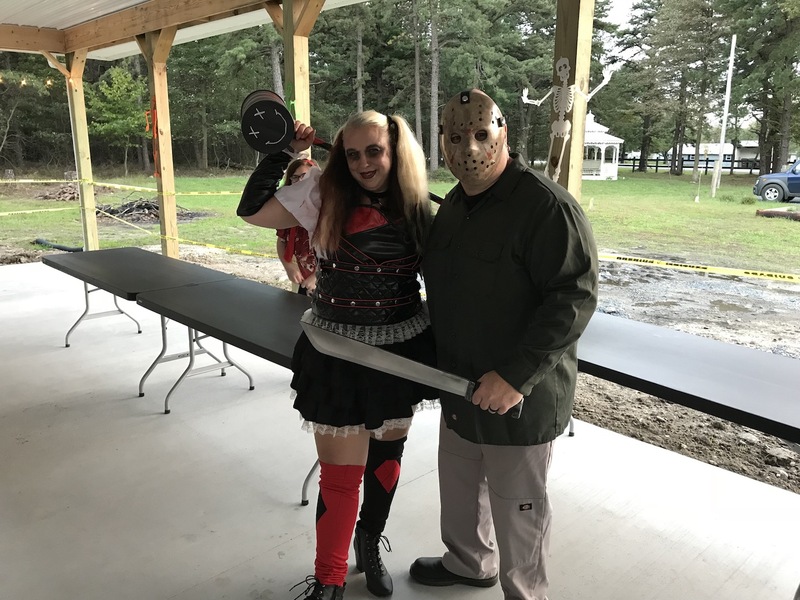 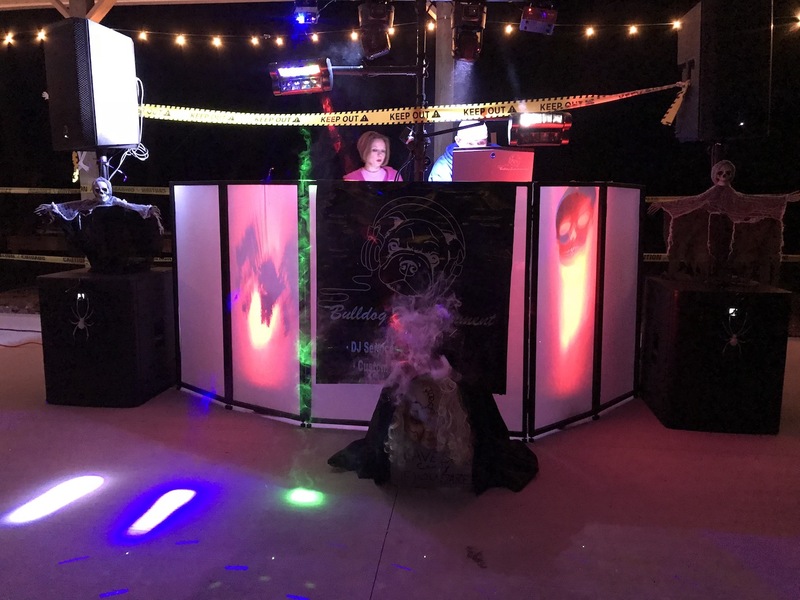 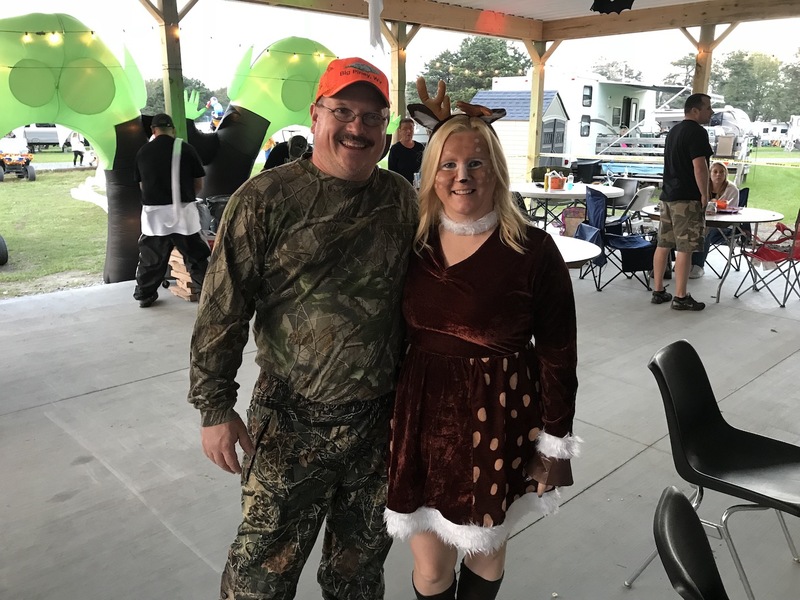 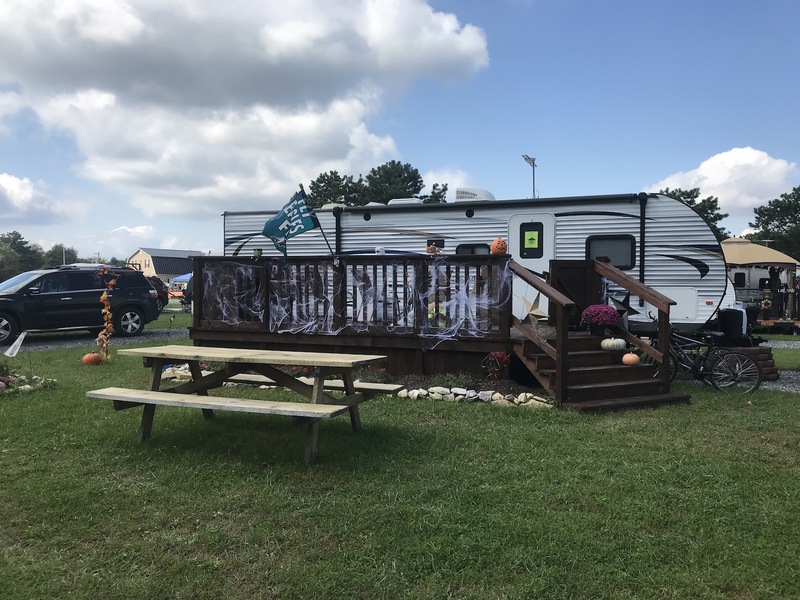 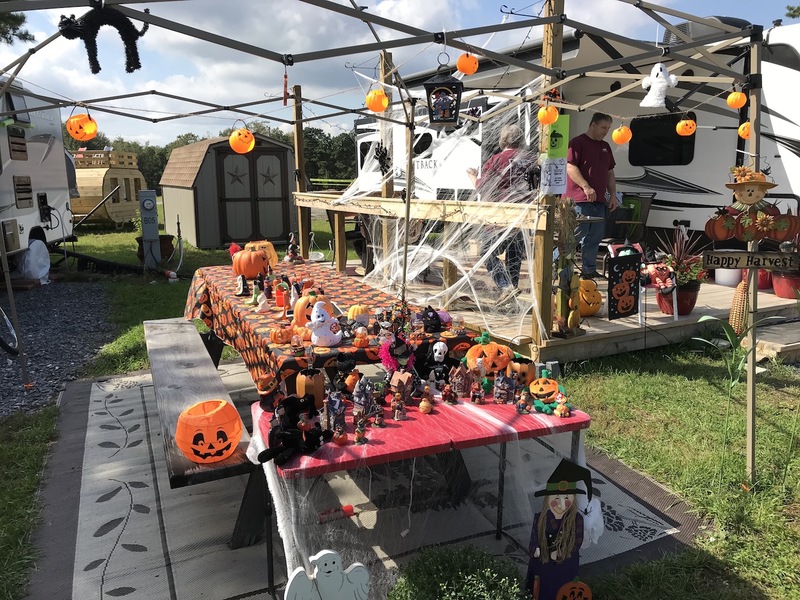 On September 29th, 2018 Pine Ridge Campground seasonal campers kicked off our Annual Fall Ball. 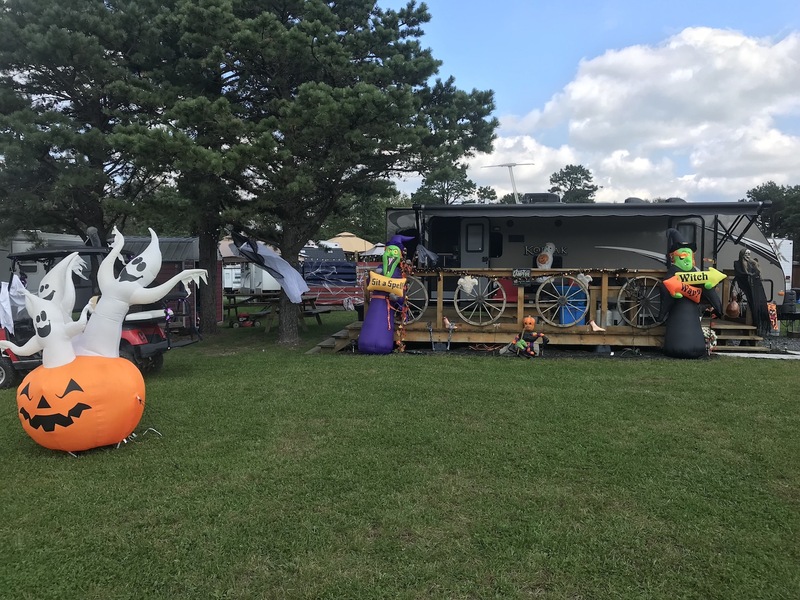 A fun-filled day of fun & activities for the whole campground, kids & adults. 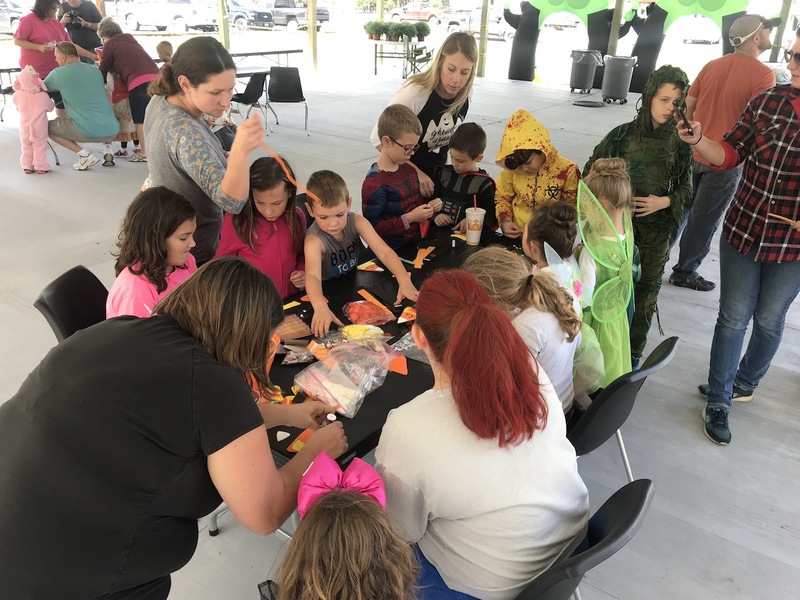 Our day started off with a Halloween kids craft at 1:00 PM. 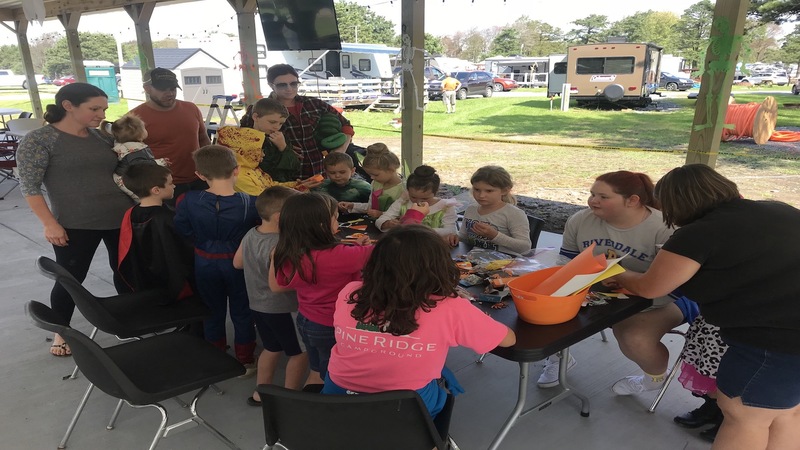 Children sat down and put their minds to work to design a craft to take home. 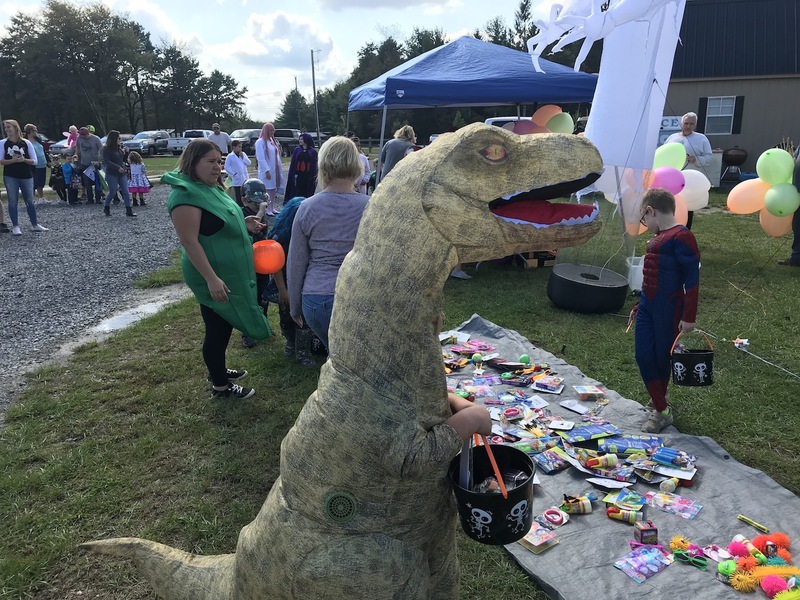 Shortly after the Halloween kids craft, all of the children gathered together for a Halloween costume contest. 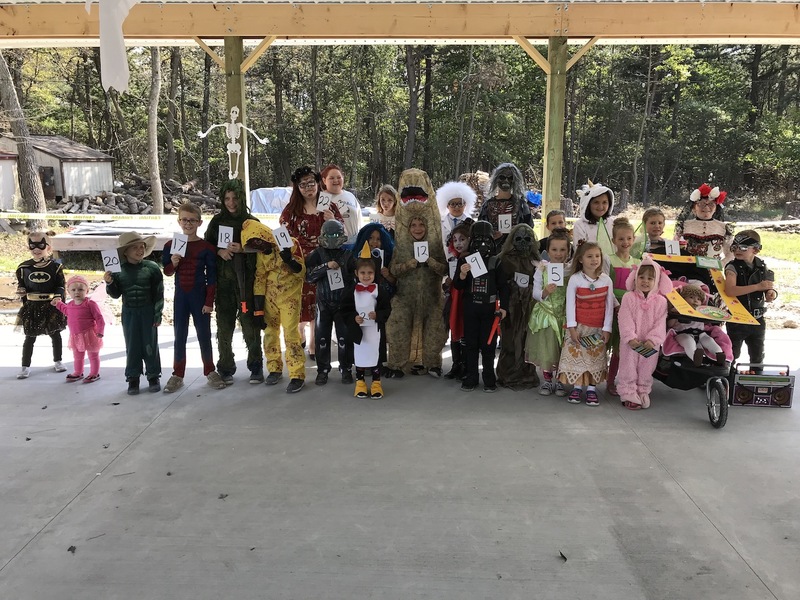 30+ children came together to with a group of judges to take home $25/$15/$10 prizes! 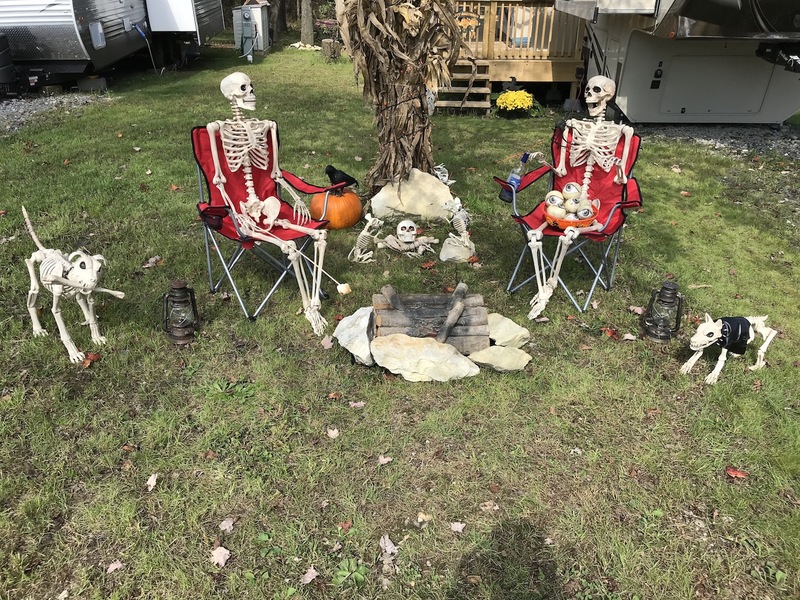 Immediately following kids took to the park for a 1 hour long Tick or Treat. 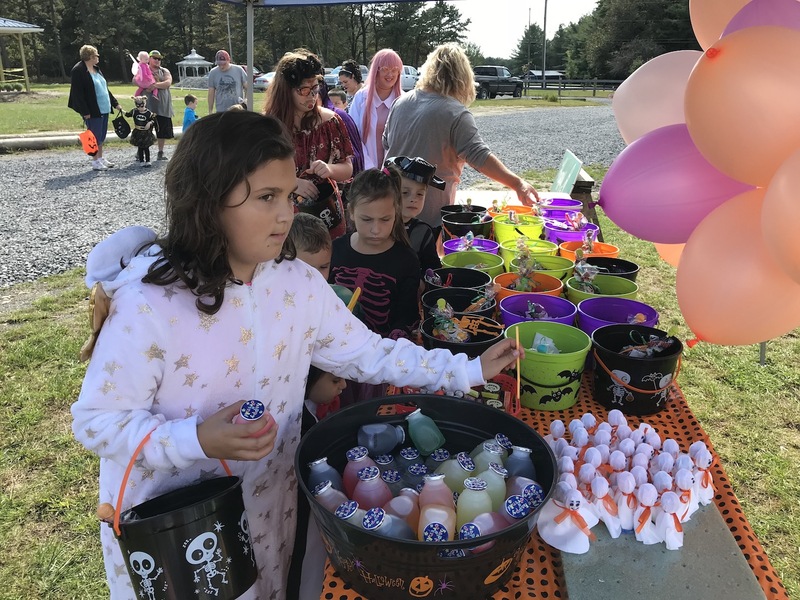 Kids took home a large basket full of candy! 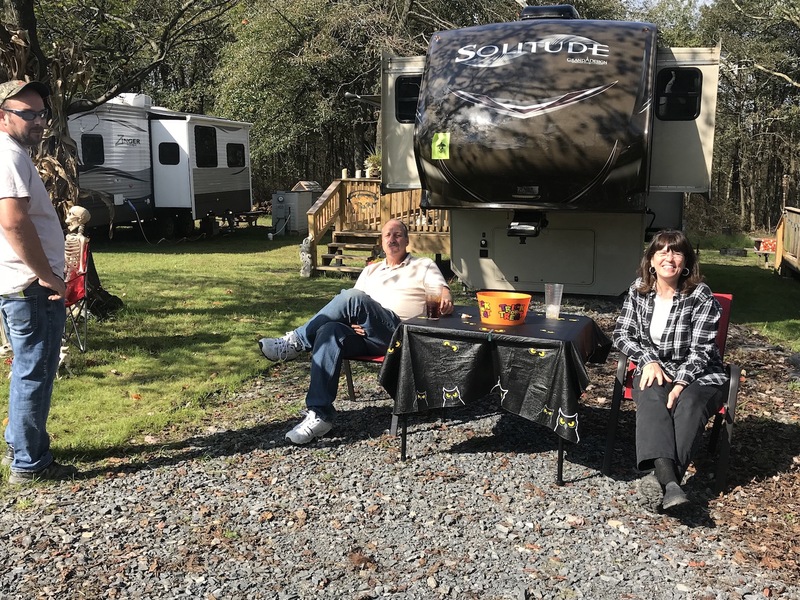 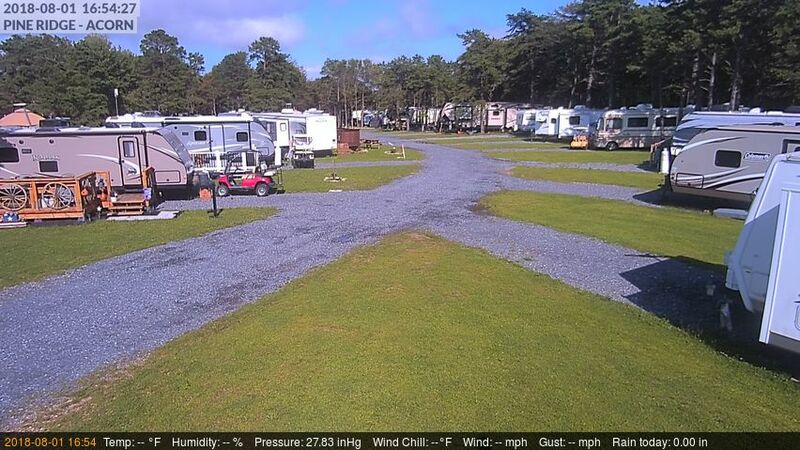 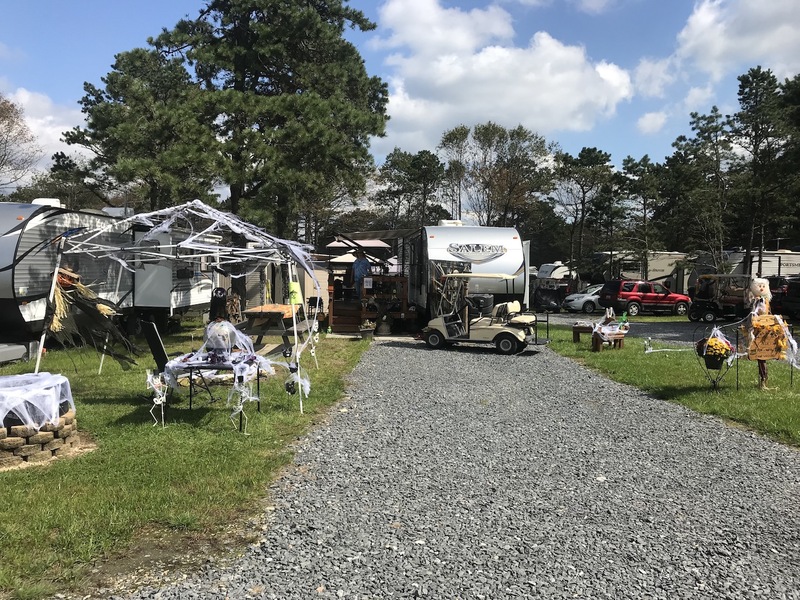 Our judges then took to the park to do RV site judging & golf carts. 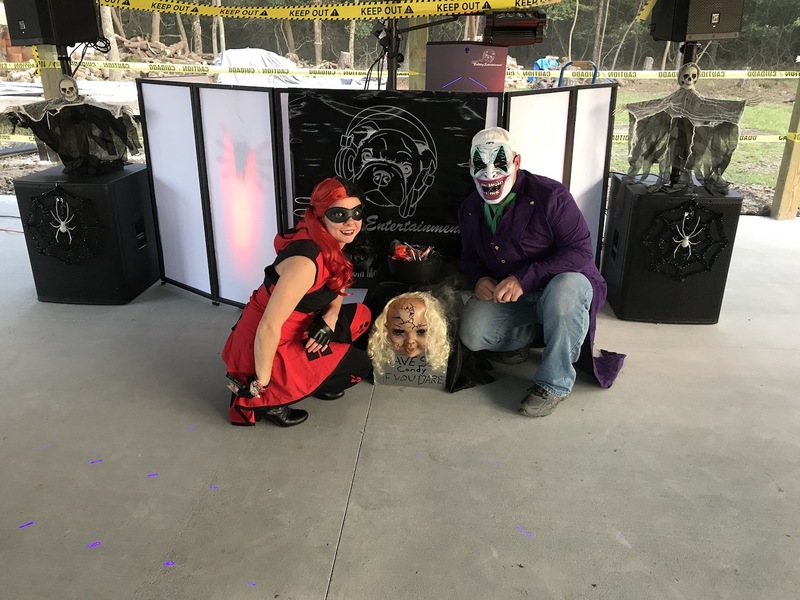 These winners each got a $20 cash prize! 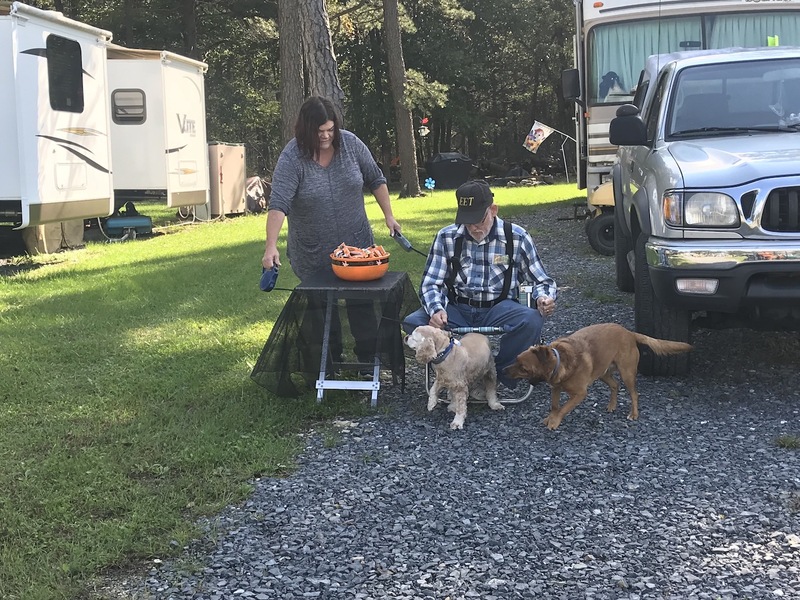 We followed up the Tick or Treat with a potluck, with pizza provided from the campground and many sides for all from our campground guests. 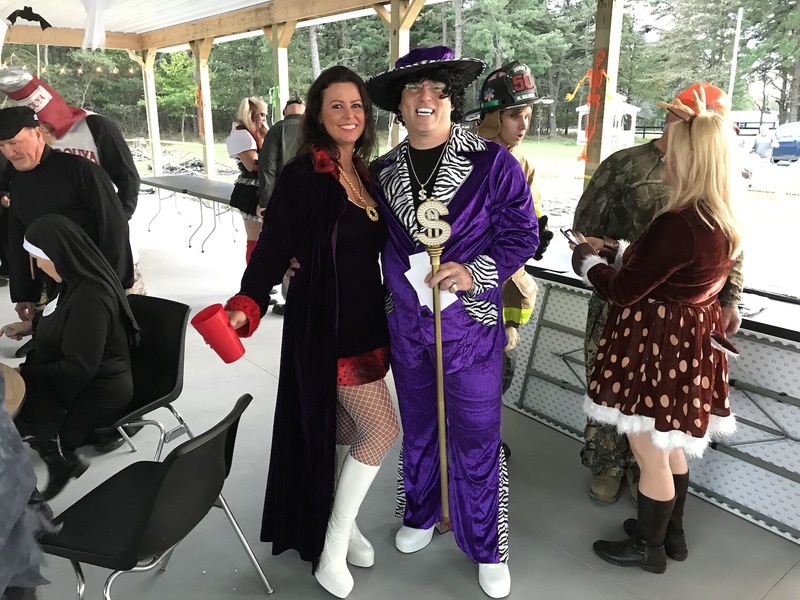 Immediately following we started the adult costume contest with more cash prizes for 1st / 2nd / 3rd prizes and best couple. 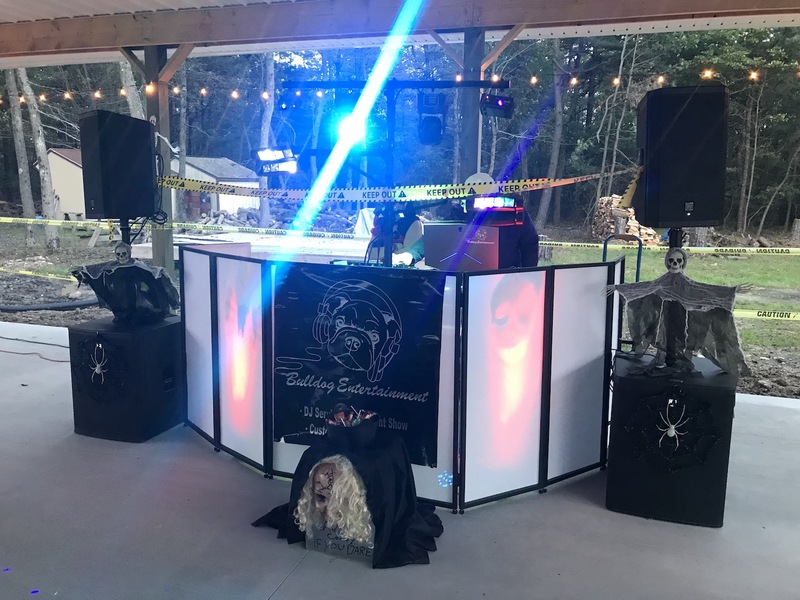 After the winners were announced we rolled right into a fun night of DJ party music from Bulldog Entertainment. 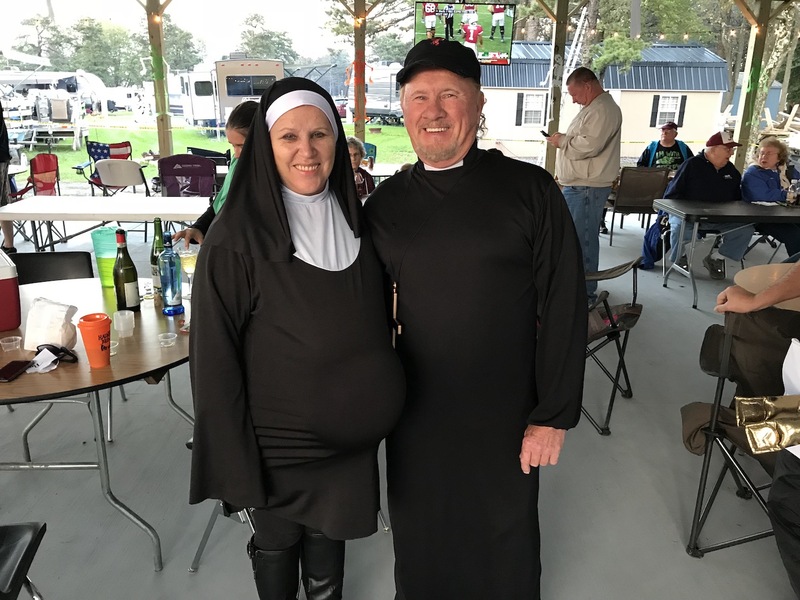 The night ended watching the Ohio State @ Penn State game at the pavilion. 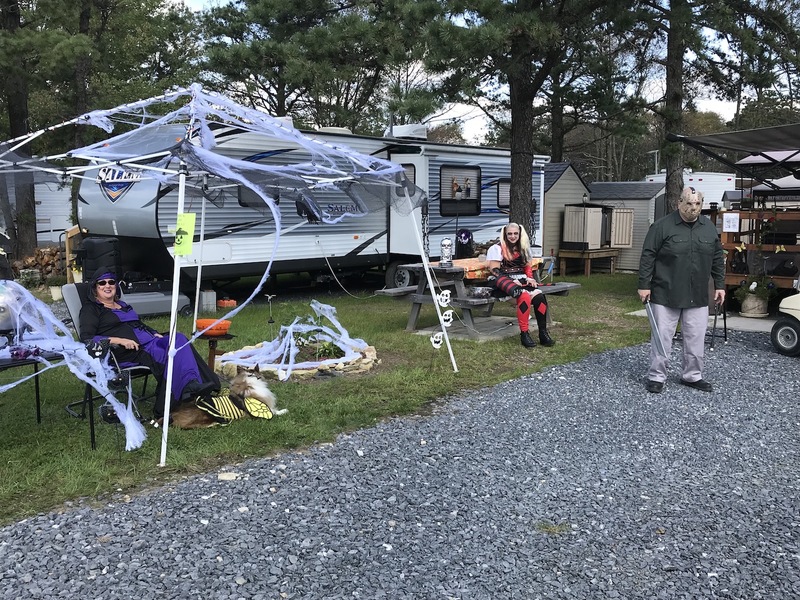 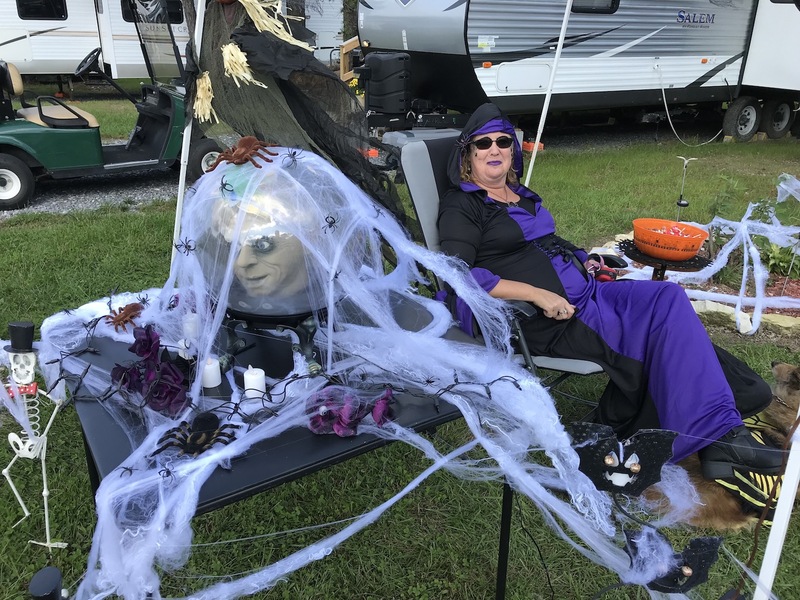 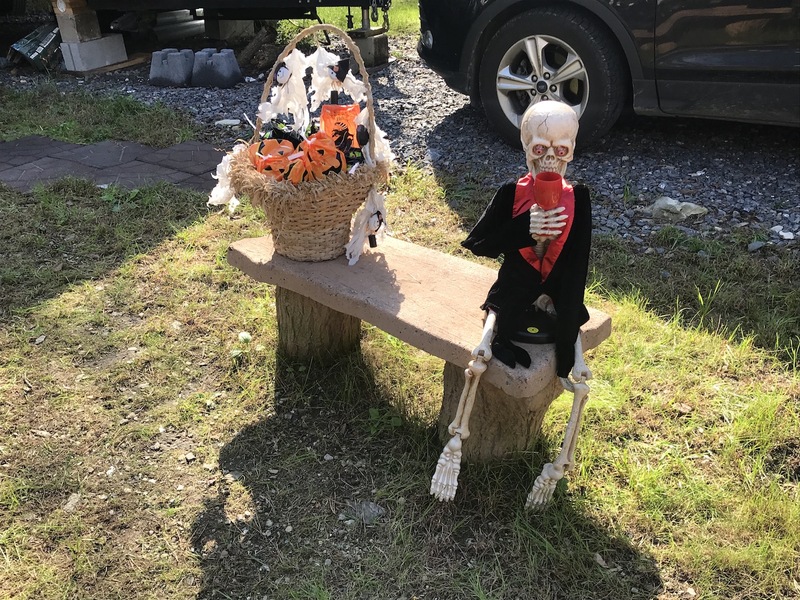 We would like to greatly thank Doris & Fred Wagner for the haunted golfcart trail & funnel cakes that were offered to all at our campground. 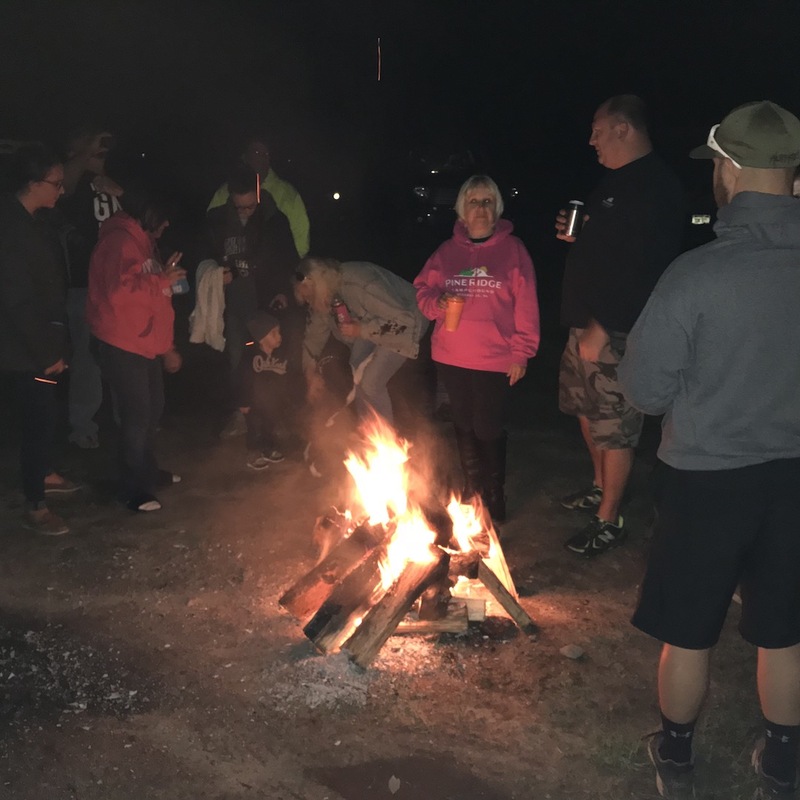 Take a look at the pictures below of the fun night at Pine Ridge Campground!